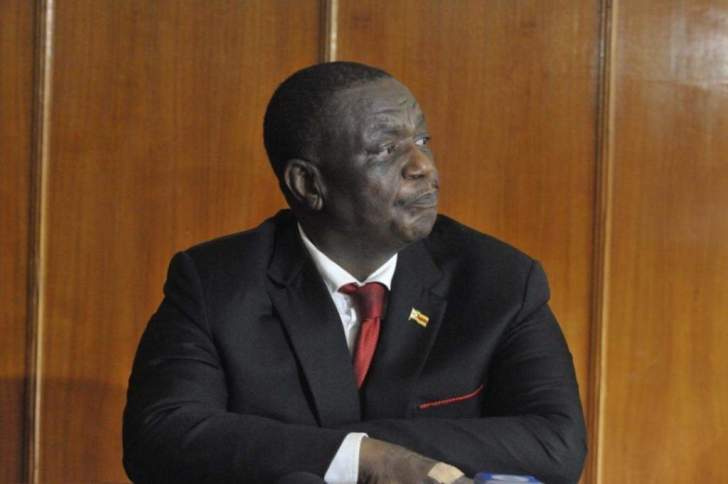 Vice President Constantino Chiwenga returned home on Saturday night after more than two weeks in India, where he was treated for what the government described as a "minor abdominal ailment". Chiwenga had a "successful treatment", said George Charamba, the spokesman for the presidency. "He has fully recovered and is raring to go," Charamba told state media. Chiwenga was due to arrive in the small hours of Saturday morning but his chartered plane, a Boeing 737-700, developed problems before take-off on Friday night from the Indira Gandhi International Airport in New Dehli. The plane, registration A6-RJX, had been fixed by Saturday afternoon and the 63-year-old, joined by his wife Mary and Deputy Health Minister John Mangwiro, was finally able to fly. The plane landed in Harare at 9PM after a nine-hour flight covering 7,200 kilometres. In his last public sighting on February 5, Chiwenga appeared on state television looking emaciated although he insisted he was "fit". The Vice President, who consulted South African doctors before his evacuation to India, is believed to have been treated for a problem with his esophagus after complaining that his throat was "dry". The condition had caused him difficulties eating and led to a dramatic weight loss. Vice President Emmerson Mnangagwa intensified a purge of Chiwenga loyalists in the military, while the Vice President was away. Five top generals, including Major General Anselem Sanyatwe of whom Chiwenga is believed to be most fond, were retired and told they would be posted on diplomatic missions abroad. It is believed Sanyatwe is intent on resisting a posting to Tanzania as ambassador. Mnangagwa, fearing an all-out war with his number two, was forced to postpone a planned Cabinet reshuffle last week to await Chiwenga's return.